JOIN OR RENEW Your USMS membership HERE! Don't be intimidated, there will always be someone faster or slower... just do your best! Lake workouts are charged separately. Let this year be Almost Fast, Faster, or your Fastest year yet! 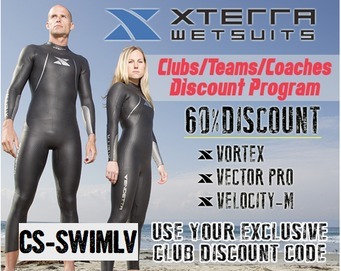 Now in it's 9th year, Swim Las Vegas is again offering its F.A.S.T. 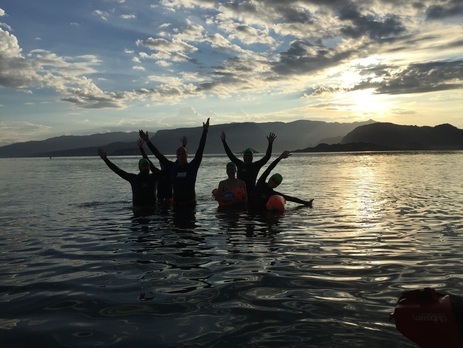 race specific training program, starting with twice weekly coached sessions in the pool followed by weekend morning coached and kayak supported open water swims (to build confidence and hone your open water skills) at Lake Mead. We offer options designed for beginners to advanced swimmers. There is no magic pill to becoming a better swimmer, so what you need to do: is SWIM under the experienced eyes of local coaches who want you to succeed. In the open water, we do quite a lot more than just lifeguard while you swim the buoy line. We have created progressive workouts in an open water setting and give you tips and technique advice while you are swimming. Our coaches take swimmer safety very seriously.  Swim Las Vegas has established proper safety protocols and have are the ONLY local training team to hold a permit with the National Park Service to conduct workouts at the lake. You will finish our F.A.S.T. program a more efficient, confident and technical swimmer, ready to attack any open water swim or the triathlon bike course relaxed and with vigor. We’ll be focusing on energy conservation, swim efficiency and power phase development. You don't need to BE fast to participate (so don't let that scare you) but you will GET faster as you swim with us. SLV welcomes new members or visiting swimmers who are members of US Master Swimming. $15 for SLV Members, limited to 2 drop ins. $20 for non members, limited to 2 drop ins. All participants must be a current registered member of USMS and pre-pay each session via PayPal or cash. Collected fees pay for government permits, lane rentals, training and other expenses. We do our very best to provide individual attention during swim workouts to help you improve your technique. There is no magic pill to becoming a faster swimmer but the more consistent you are, the better you will swim! And the more you swim with us, the more we can help you get the proper technique! Our methods are proven, our technique is sound. If you require more instruction, we are happy to provide private lessons for individuals and small groups of up to 3 people.